I found this in humor. No real smiles (no laughs), but a light-hearted story. Nice use of flashbacks to develop characters. 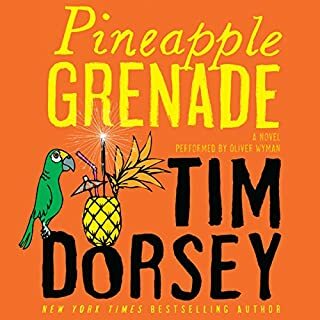 The narrator did a good job of creating separate voices for the characters. The supernatural element and easy style are reminiscent of Dean Koontz. I especially appreciate the untold secret, kept 'til the end (and beyond). 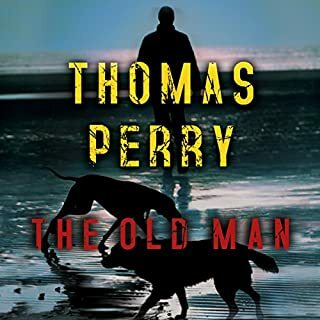 If you could sum up The Old Man in three words, what would they be? Peter Berkrot nailed it with his narration. Versatile voices, plus he pulled out nuances many other narrators would have overlooked. I look forward to hearing more of him. 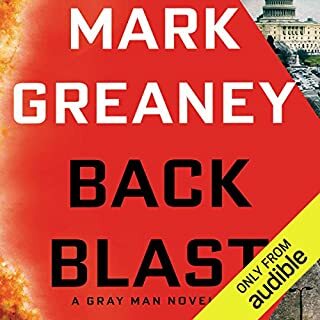 Good voice characterization- its hard to do many tough guys different. .
As with many suspense type books, one can guess the final outcome, but the ride there was a wonderful roller coaster of twists and turns. My only downside, was how Court just happened to know whatever skills the plots needed..It is, nevertheless, a fun listen, supported by Mr. Snyder's smooth rendition. New author to me- what a delight! 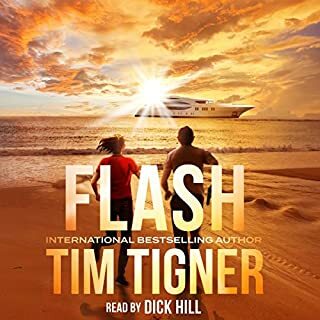 Tigner produces a very engaging tale. Mr. Hill adds the perfect narration to keep one attuned for the duration. I found myself not wanting to pause it, wanting to hear what would transpire next. It would be fun to encounter these protagonists again. Yes- through a story line that was compelling and frightening- who would want to lose their memory, even a part of it? The press conference with the Justices of the Supreme court- can't reveal more without spoiling. This was my first Tigner book. It most definitely won't be my last! What did you love best about The City? I've read all of Dean Koontz's books. They keep getting better. Not in terms of the bizarre plot- this one's OK. If I pay attention, there are so many poetic moments- not in sappy verse, but in cogent wisdoms almost casually tossed out with a beautiful economy of description. I am going to have to get a print version and re-read to capture some of these. I also liked his use of his favorite word in the adjectival form verses his usual use of the noun. I always listen (hint) for the word in every book. Koontz is indeed a master wordsmith. Told from the perspective, in recollection, of a black man growing up in the 60's, and musically steeped in swing, Jonah is a rich and wise character. What does Korey Jackson bring to the story that you wouldn’t experience if you just read the book? Korey Jackson gives each character a unique voice, from black to oriental to "city". He brings them to life. Actually, I wanted to linger over the words, and not push through them at once. The action kept me riveted, but the prose captivated me. If you haven't read Koontz before, prepare for a treat. It you have, slow down on this one and treasure his descriptions and reflections. What did you love best about Not QUITE The Classics? Fresh originality, stories coming from "left field" (sorry Col, don't know the hockey term). Not all stories were equally hilarious, but enough were that I couldn't stop laughing on some of them. My favorite- the take-off on Emily Bronte: "A Tale of Two Critters." As the new reality started dawning as to who the protagonist is, all of the pieces previously presented feel neatly into place- a full laugh with each detail. Sorry can't tell you about it; it would spoil the revelation. 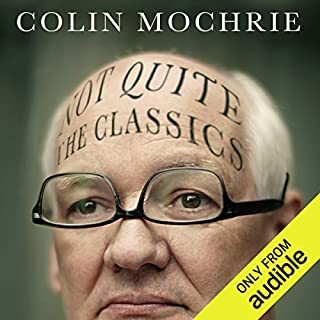 What about Colin Mochrie’s performance did you like? He brings life to all of the characters, even himself in the forward. I couldn't wait to get to the next story. I can't wait for the --- sequel??? Actually, anywhere Colin wants to take his WORK, I will follow. If you know his real work, you will enjoy this. If you have never heard of him, you are in for a real treat. What made the experience of listening to Innocence the most enjoyable? 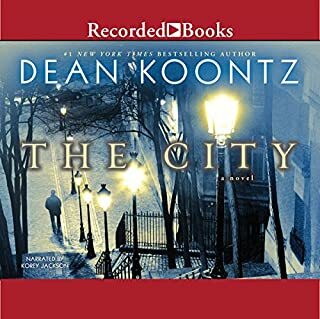 While not a phenomenal story line, it is still very good, which is standard for Mr. Koontz. What sets this book apart are the numerous passages that are so well expressed, they "wax poetic." (This doesn't mean they rhyme, but they are quite thought provocative.) Yes, he does use his favorite word, twice in short order (a word found in virtually every book of his except "Oddkins," because that book, aimed at children, excludes word of such complexity- hint: "listen softly" for it. I think I need to purchase a paper or digital copy of this book and re-read it to find anew those passages and highlight them. Overall, good story, well narrated, but if one pays attention, some deep nuggets of wisdom scattered abroad. If you are a Koontz fan, you are in for a treat. 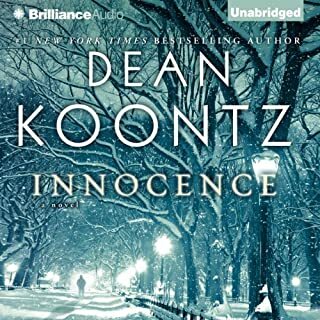 If you are new to Koontz, this is a wonderful introduction. I only hope Mr. Koontz has a plethora of books left in him. 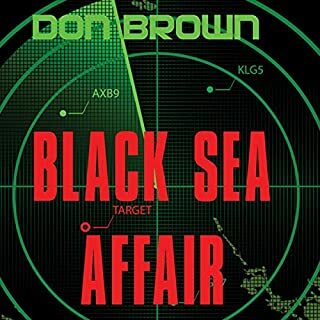 As the U.S. Navy searches for weapons-grade plutonium that has been smuggled by terrorists out of Russia, a submarine mishap in the Black Sea brings the United States and Russia to the brink of nuclear war. It is a race against the clock, with Russian missiles activated and programmed for American cities. Good plot, nice suspense building. He combined action in various venues into the story. Who would you have cast as narrator instead of James Adams? Just about anyone. It was an odd choice having a British narrator for an American novel. Americans now don't pronounce their "r"s. Worse- it seems everyone east of Austria speaks with a guttural voice- very difficult to distinguish characters. I found the most distracting. The plot was good, but the dialogue was often tedious. Part of that was technically correct- the protocol for giving and receiving order aboard a submarine, part was just plain slow moving, as in the white house discussions. Perhaps accurate as to how it would probably occur, but it doesn't make good listening (or probably reading). 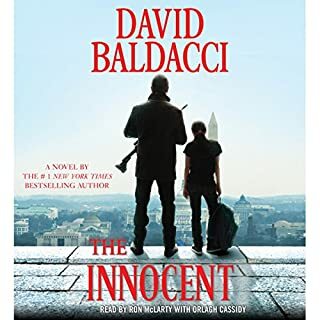 Mr. Baldacci turns in another suspense thriller. An unlikely alliance, twists, and tense moments keep this a riveting listen. 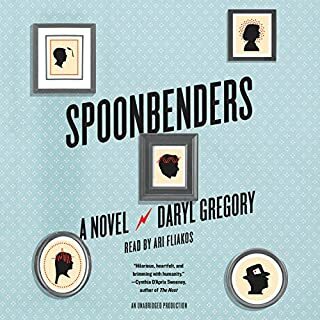 With a male narrator, the use of a woman for women's voices made this even more enjoyable. Having gender appropriate voices for the roles should be the norm for audio books.